A great deal of time is spent sleeping or relaxing on your mattress. It's no wonder that stains happen on your mattress, including ink stains. A forgotten pen in your pocket or accidental pen swipe can cause a large or small ink stain. When removing ink stains from your mattress it's important to use as little moisture as possible so the moisture isn't absorbed into the mattress. Additionally, you want to remove the ink without spreading it further. A clean mattress is a healthy, sanitary place on which to sleep. Sprinkle baking soda over a fresh ink stain on your mattress. If the ink stain is particularly moist, the baking soda will absorb some of the ink from the mattress. Prevent ink from spreading by dropping rubbing alcohol around the stain. Vacuum the baking soda from your mattress. 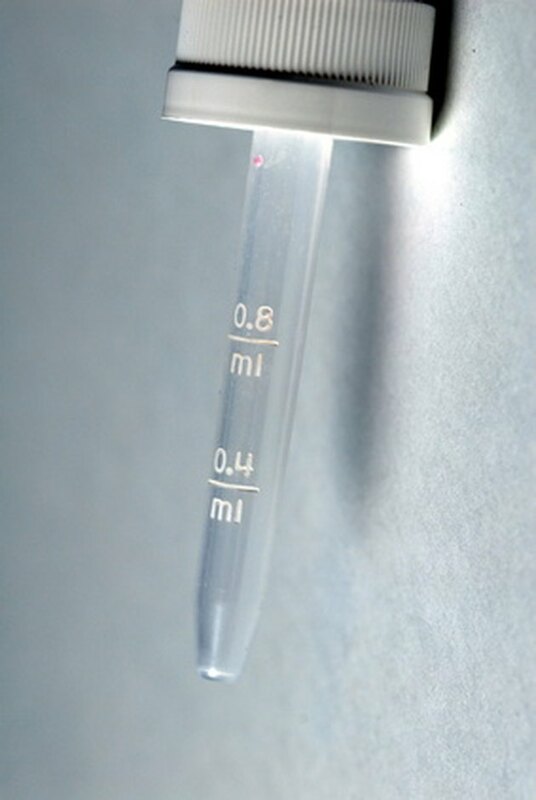 Fill an eye dropper with rubbing alcohol; drop the alcohol in a ring around the ink stain on your mattress. The rubbing alcohol prevents the ink stain from leaking or spreading further into the mattress material. Blotting with a sponge lifts the stain without spreading it. 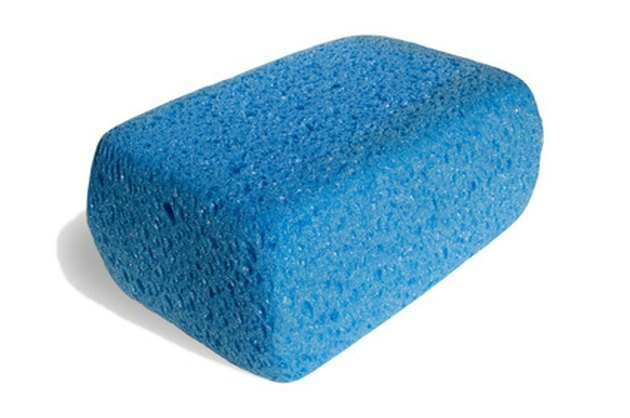 Dampen a sponge with ammonia; squeeze out the excess so the sponge is no more than damp. Blot at the remaining ink stain, starting at the exterior of the ink stain and blotting toward the middle. Rinse the sponge, as needed, apply more ammonia and continue to blot to remove the ink stain. Pour a nickel-sized amount of laundry detergent onto a wet cloth. Gently rub the detergent into the remaining ink stain on your mattress. Scrub in circular motions to lift the remaining stain. Wet a clean cloth and use the cloth to rinse the mattress. Blot to lift the detergent, rinse the cloth with water, then continue to blot until the detergent is removed. 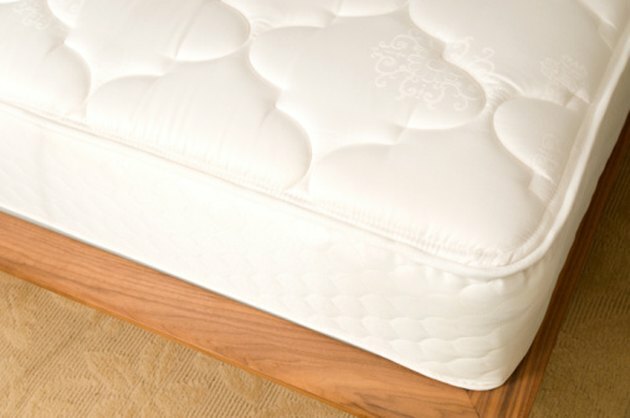 Press dry cloths into the mattress to wick out as much moisture as possible. 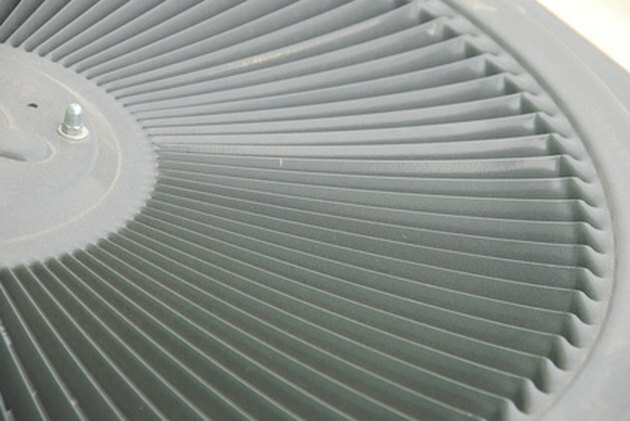 A fan speeds the drying process. Air-dry your mattress completely. Point a fan in the direction of your mattress and allow the fan to help dry the mattress more quickly.